Shutters are used as a flexible door panel in shops, warehouses, workshop sheds and are made of steel sheets & strips. As the rolling shutters are wound over on a overhead winding mandrill, the shutter will not give any problem for movement of people or vehicles through the door.The shutters roll upwards parallel to front wall not occupying any space of the floor and therefore, they are preferred for use in shops. Further, as these are made of steel sheets, they are strong, long lasting and safe. The automatic rolling shutters in Kerala that we install requites least maintenance; you have to put in lesser effort for any sorts of inspection. Also, you can operate this easily without any prior experience. A complete satisfaction of customers is guaranteed.The symbolic feature of our motorized rolling shutters is its robust structure obtained due to the use of high strength metals in the making of slate and guide profile. This feature acts as a shield and protection against burglary, vandalism & storms If on one hand these shutters require low maintenance enabling very less inspection & manual attention then on the other hand our motorized rolling shutters have very easy operation ensuring total customer satisfaction. We are one of the most experienced manufacturers & dealers of rolling shutters throughout Kerala. It took us a lot of time and commitment to emerge as a trusted name in the domain of motorized shutter selling, repair and maintenance. Our company has enough resources and great facility to manufacture any volume of rolling shutters as per demand. We can install the rolling shutters inside or externally, crosswise or overhead as per your preference. Guarantee perfect lift and closure over time. Automatically stops the motor if any obstacles are in the way. Automatically stops if the slats are frozen. The shutter cannot be lifted from the outside thanks to rigid links. roller shutter with stiff links (lifting resistance up to 100 kg). In this type of rolling shutter automation, the motor is fixed in the shaft roll as an invisible condition. To fix motor in shaft roll, we need to insert tubular motor. 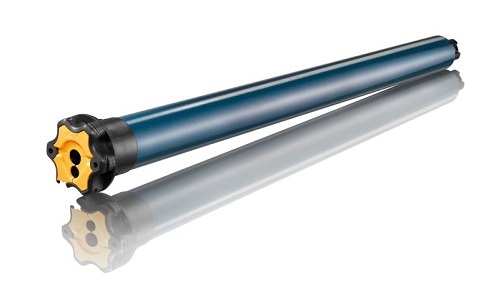 At both ends of motor, two functional portions should be fixed perfectly with rolling shaft. Gear should be inside and fixed by anchor or bolt with shaft. Another portion should be fixed on bracket to adjudge limit switches. Motor can be damaged by over rolling condition so better if fixed by experts only. Most of the tubular motors are used for interior design, home, small and aluminum rolling shutters. We provide complete automation and installation for tubular motors. We also provide manufacturing facilities of accessories which are used in tubular motors & shafting. Side motorized rolling shutters are the world’s most common automation product which is preferred by all automation companies across the world. Side motors are mostly used by heavy industrial and regular sized rolling shutters. There are major differences with respect to quality and design in European and Asian manufacturing motors. 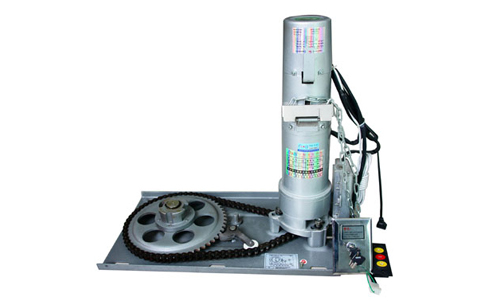 Side motors are manually operated by chain or gear roller. The side motorized shutter could not be operated or lifted by hand. therefore it is like self locking or auto locking system. Most of motors operated by AC single phase current but heavy motors are operated by three phase current also. Consumption of electricity is very lower than other shutter automation system. We deal and provide complete solution for side motors. Side motors are one of the best in performance and quality. It is also suitable for all types of rolling shutter slats. We have well experienced technicians who are able to provide you best performed side motorized system as per your requirements.